Foote Site Park is located on River Road National Scenic Byway. 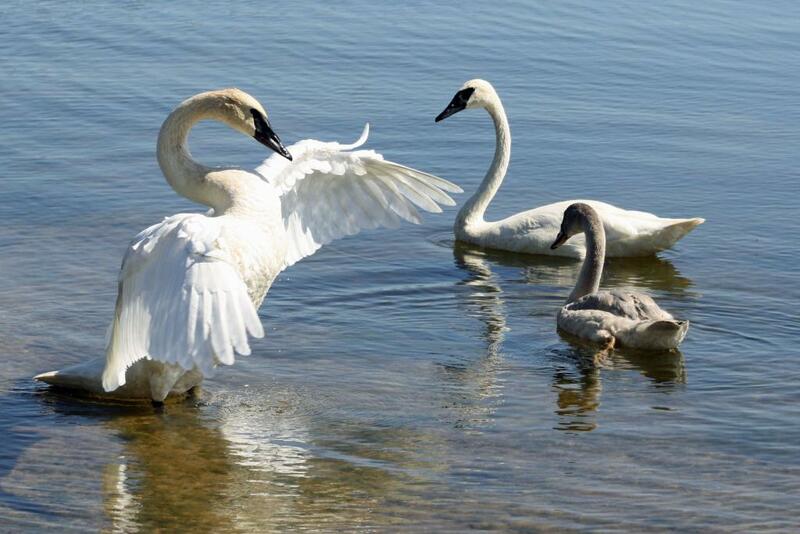 The site is popular among birders as the world's largest waterfowl - the Trumpeter Swan - nests in shallow water here on the majestic AuSable River. The AuSable River valley contains 19 active Bald Eagle nests, so keep an eye to the sky! As the only public swimming beach along River Road, Footesite Park is a popular spot on hot summer days. The park has a hardened boat ramp for larger boats accessing Foote Pond. The large parking area is paved and easily accommodates vehicles pulling boat trailers. Footesite Park is also the docking area for the Au Sable River Queen.